Neat rumble seat Model A! 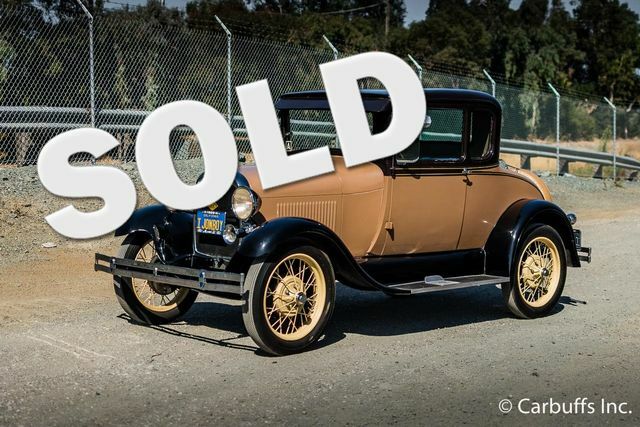 This Model A was purchased by the current owners father-in-law in 1977. It was restored in 1975 prior to his purchase and still shows well with an excellent patina that can’t be duplicated. His father-in-law was a passionate Model A collector and added some neat accessories to the car from his collection including; steering column mounted flashlight, dash clock, flower vase, ashtray, jeweled shift knob and running board luggage gate. Interior is in great shape with original style cloth upholstery. Rumble seat vinyl upholstery is also in great shape. (photos soon) Original style flathead 4 cyl engine starts right up and runs great. Original 3 speed manual transmission. The car goes, steers and stops as a Model A does. Draws attention wherever it goes.